Description: Light yellow powder; Easy dissolved in water, not dissolved in organic solvents, such as methanol, chloroform, etc; Its aqueous solution is stable. Introduction：Apramycin Sulfate is an aminoglycoside antibiotic produced by Streptomyces tenebrarius. It is a state class II new veterinary drug, special antibiotic for animal approved by Agriculture Ministry of China. 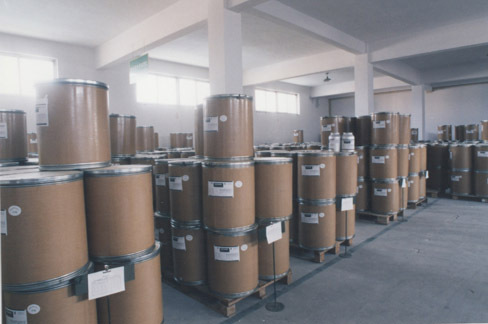 Specification：It contains not less than 550 unit activities of apramycin per mg.
Package：Ten billion unit activities per drum；One billion unit activities per aluminum pot；1kg/Bag；5kg/per deum；10kg/per drum. Speciality： Apramycin has strong activity on against G— bacterium and most of G+ bacterium in livestock and poultry；lt also has special activity to the bacterium which has good drug resistance for Garymicin，Kanamycin，Amikacin etc. lt ls not easy caused drug resistance. Absorb and Excretion：Oral： Not easy to be absorbed，only 11% of the drug can be absorbed，89% drug exit directly and make function in their intestines. Injection: lt has 6 hours disappear half time，98% of the drug can be excreted through kidney on the condition of original drug within 96 hours. Halting period： Swine，21 days；Chook，7 days. Storage：Avoid sunlight，stored in a dry condition.